Paul Jordan has grown the vision since he was appointed as headteacher in 2007. Along with his deputy, Claire Smith, he has established a team that welcomes parents and their children to the nursery provision at Thames View Infants and works tirelessly with them for the next four years. The last two Ofsted inspections judged Thames View to be outstanding. Mr Jordan is a National Leader of Education and now also CEO of the Thames View Learning Multi-Academy Trust. With 438 children in the school, a four-form entry, he still prides himself on being a hands-on head and accessible to the school community. Looking at the demographics of the area, you would not perhaps expect the children to leave the school with such high attainment. 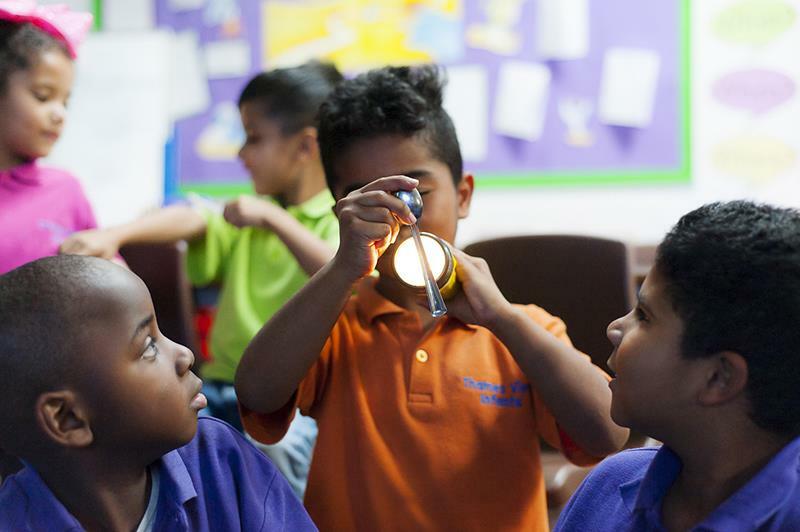 Thames View is located in the London Borough of Barking and Dagenham and pupils are admitted to the school an average of 18 months behind where they should be developmentally. “Some of our children are still in nappies when they start school,” Mr Jordan explained. There are approximately 41 different languages spoken and pupils come from a rich and varied mix of cultures, including first generation migrants. Thames View continues to respond to a constantly changing catchment which now also includes some wealthier Londoners settling in new developments. The pupils might have entered Thames View Infants below what is expected but by the time they leave at the end of key stage 1 they are significantly above the national average. So, how does Thames View help them to achieve this? Ms Smith is both the deputy and inclusion leader. It is clear that inclusion is very high on the agenda and that Mr Jordan and Ms Smith believe it to be a key factor in the school’s success. Many of their pupils have SEN but there is a reluctance to talk about them as part of a category. They might have an Education, Health and Care Plan (EHCP) or receive SEN support, but these are the mechanics rather than the essence of SEN provision at the school. Instead, the provision at Thames View involves a high level of fluidity in the way in which pupils’ needs are met. An example of this is the abandoning of support groups that require withdrawal of children from their classes. However, looking down the list of staff members at the school, it is evident that a high priority is given to the employment of teaching assistants. At one point Mr Jordan describes the school’s approach and organisation as being “messy”. Not a term we’d usually find in relation to a top performing school. However, this system of allowing staff and support to follow the child as needed is working incredibly well. Formal meetings are minimal, instead people are brought together around a particular child as and when they are needed. The five professionals listed by Ms Smith form the core of the group but there are other specialists that they can draw upon depending on the needs of the child. 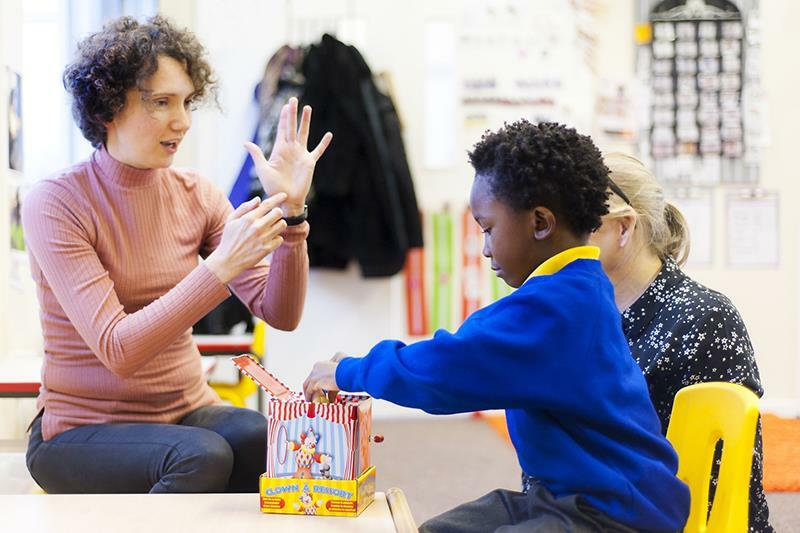 For example, they have a teaching assistant who has been trained in speech and language support and they buy in one day a week from a speech and language therapist. Mr Jordan has made every effort for himself and his staff to be accessible. The school doors are open when parents arrive and most members of staff are available when parents need to see them. In line with this belief, in partnership with parents they hold a range of school events that engage the community: “We cook together, practise phonics together, walk and talk together,” Mr Jordan added. Thames View wants to give parents the right tools to help them support their children. For example, they have more than 300 videos on YouTube that parents can engage with. Mr Jordan uses this as a method of reaching out to the whole school community twice a year. Teachers upload videos regularly and there are more focused, instructional videos such as how to help your child with phonics, or even how to get them to hold a knife and fork correctly. This approach follows the belief that if teaching is of the highest calibre then additional support is less likely to be needed: “We spend 87 per cent of our budget on staff,” Mr Jordan added. At a time when recruitment across the country is a problem, you might expect that Thames View would struggle to find the staff of the quality needed. However, for the last two appointments the school has had 60 applicants. Teachers want to come and teach there and are happy to be taken through Mr Jordan’s three-stage interview process: “At the first interview we expect the candidate to sell themselves and show us how they are right for our school,” he said. Mr Jordan is a National Leader of Education and Thames View actively works with other schools to deliver bespoke training and support. In 2012 the governors voted to convert the school to an academy and Mr Jordan has welcomed the sense of ownership that this has given them.